Halfway through the schedule and nearing the All-Star break, there are a handful of surprises in baseball this season. 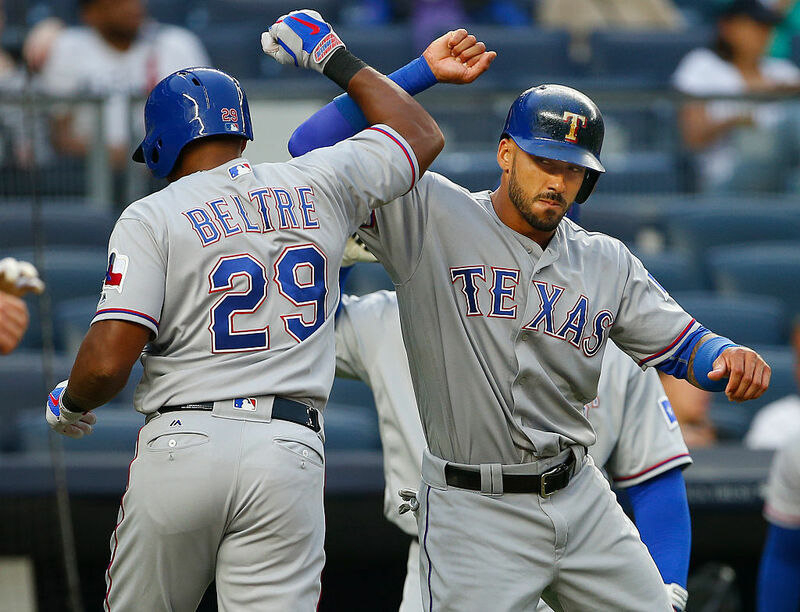 The Texas Rangers holding the best record; the Cleveland Indians’ 13-game winning streak; and Madison Bumgarner hitting for himself in an American League ballpark are among the best we’ve seen. But what about the players? Several players are having resurgent or much improved seasons. We’ve already looked at the most overrated players of 2016; here are the four most improved players in Major League Baseball right now. The Cubs’ former top prospect has come a long way in just two years. He came up to Chicago back in August 2014 and was essentially thrown to the wolves. As a 21-year-old, Javier Baez wasn’t ready to be in the big leagues, but he figured out how to hit in the minors. He had a wild swing and crazy bat-speed, with power that other middle infielders could only dream of. The Cubs were determined to let him see just how badly he needed to make adjustments. Between 2015 and 2015, in his first 80 games in the major leagues, Baez hit .201/.252/.346 with 10 home runs and 119 strikeouts in 309 plate appearances. In short, he wasn’t making contact at a sustainable rate. But then, something amazing happened and it all clicked. Baez is a different player in 2016, making contact at higher rates — a K% of just 23.5 — and posting an improved slash line of .265/.305/.444 with eight home runs in 200 plate appearances. The Cubs are moving him all over the diamond defensively. 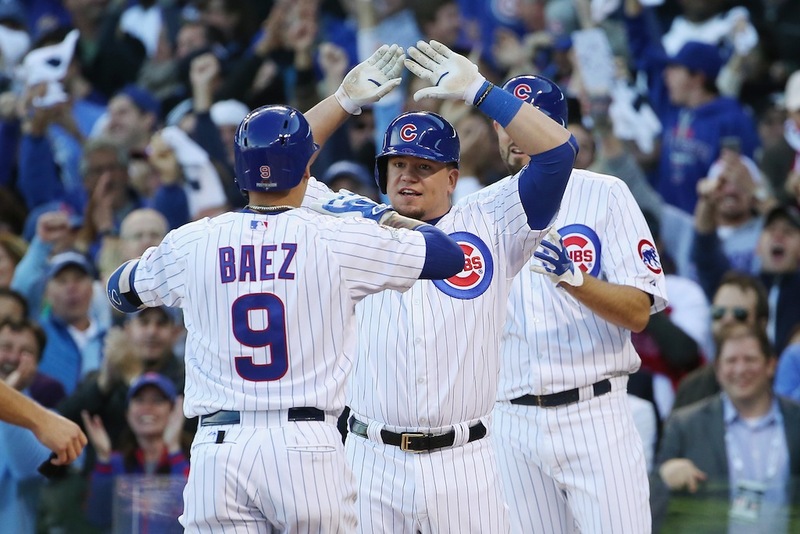 With his excellent glove, Baez has become one of the team’s more valuable and most improved players. The Miami Marlins signed Marcell Ozuna to his first contract all the way back in 2008, when the young man was just 17 years old. He worked his way to the big leagues in 2013 and the outfielder was picked by many to be primed for a breakout season in 2015. It didn’t happen, as Ozuna played 123 games and compiled just 0.4 WAR last year, hitting .259/.308/.383 with 10 home runs. But things have changed for the 25-year-old this season. Ozuna is hitting .316/.367/.559 with 17 homers and already has 2.3 WAR on the year. 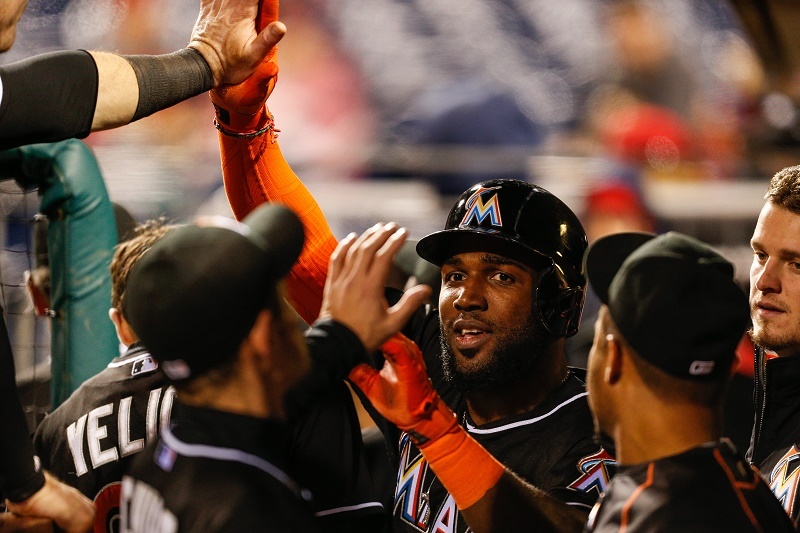 With right fielder Giancarlo Stanton struggling this year, it’s Ozuna and left fielder Christian Yelich who have carried the surprising Marlins at the plate and in the field. No one ever doubted Ozuna’s clear talent, and now the results have finally seemed to catch up. The Red Sox have an abundance of hitting talent, with Jackie Bradley Jr. coming up around the same time as stud outfielder Mookie Betts. In fact, the team had so much talent that many questioned whether or not Boston would need to eventually move somebody. There were rumors that the Sox were looking to do just that in the offseason, shopping Bradley in return for pitching. It never happened, and they’re probably pretty happy with how things have worked out. 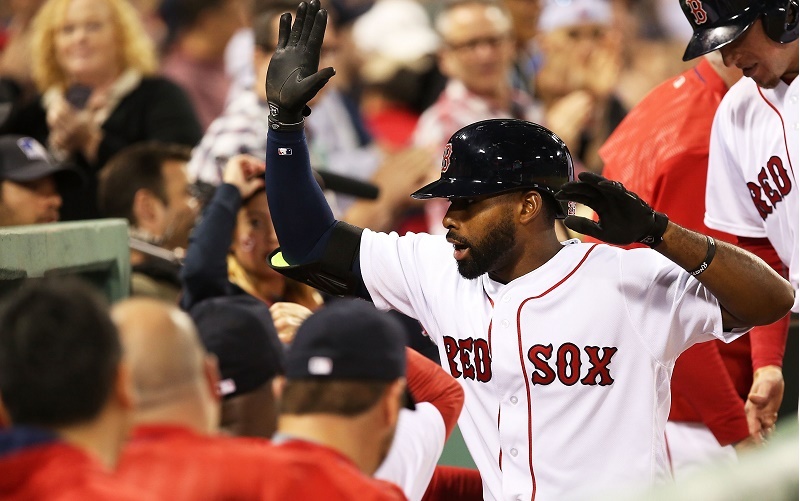 While Bradley was no slouch at the plate in his half-season stint with the Red Sox in 2015, the fact is he had posted mediocre overall numbers in his career — just a .638 OPS in 785 plate appearances. However, at 26 years old, he’s really come into his own this year, bumping that OPS to .930 and having already set a career high with 13 home runs. With outfield defense that’s worthy of a Gold Glove and already being valued at 3.3 WAR, Bradley has become one of the best young competitors and one of the most improved players in the game. There was a time when Ian Desmond was one of the better hitting shortstops in baseball. Back with the Washington Nationals, he won three Silver Slugger awards and was even 16th in the MVP voting in 2012. But Desmond showed signs of regression at the plate and in the field. He most famously whiffed on turning down a seven-year, $107m contract extension. After a horrendous 2015 season — hitting .233/.290/.384 for the Nats — Desmond started free agency in search of his next big pay day. That didn’t come until he finally signed with the Texas Rangers — for just one year and $8 million — near the start of spring training. Texas moved Desmond to the outfield, where he’s been surprisingly good. Even more surprising? The production Desmond has given them with his bat. He’s hitting an eye-popping .320/.372/.530 with 15 home runs on the team that has the best record in baseball right now. If there’s one player who’s clearly the most improved above all the others, it’s Ian Desmond. MLB: Is the New York Mets Model Broken?